Strategically located in the city centre of Kunshan. The hotel is within walking distance to the open-air citizen sports centre- government offices and shopping areas. With the industrial areas scattered around the city the hotel works as a linking point for business travellers. The 387 hotel rooms and suites reflect a modern and sophisticated style with stunning panoramic views of the city and river. All rooms boast state-of-the-art features exclusive amenities and services that cater to the needs of the discerning business travellers and tourists alike. Chinese Paradise serves authentic Shanghai Ben Bang and Cantonese home style cooking using fresh local products and carefully sourced specialty ingredients from around China. Enjoy regional, Swiss and international cuisine at Café Swiss, Swissôtel Kunshan's all-day restaurant with both a la carte and buffet options, serving breakfast, lunch and dinner in a relaxed, informal setting. Contemporary New York style bar serving craft beers, cocktails and wines along house dry-aged steaks, burgers and pizza. Crystal Bar offers a full range of beverage including cocktails, wines and a light snack menu. It is the perfect retreat after work for a quiet drink with friends or colleagues. Overall the experience was very good. Internet connection was good. Room was clean. The bathroom was a little small and the bathroom sink drain was very slow. TV channel was acceptable for English speaking patrons. I feel i was warmly welcomed by staff and friends at Swssotel Kunshan. Staff were very friendly and nice, i had problem with my Accorhotel account, they tried their best to help me, special thanks to Jerry, Felicia, Daisy Wu, Daisy Cheng, Helen and May! Very good location and accommodation experience. You are the best one of Swissotel I ever stay in China. I feel comfortable and everything is fine. Breakfast is good, the bed is comfortable, only the bath cubicle design is bad. Hospitality is nice and pleasant. I stay many times. Team are familiar with me and warm. Very nice as Always and I love the gym facility and breakfast is great. thanks for upgrading me to a good room! It was a good stay! Sales, front desk, concierge,housekeeping, room attendants....all did good job. The new Chef Emiliano have new initiatives ..... ! Staff was extremely friendly and helpful. Food was delicious and the Italian chef was great to chat with. ROOM I liked my room and the housekeeping service. The television station selection array seems to be too narrow. EXECUTIVE LOUNGE I believe that there is a lot of room for improvement in the executive lounge on the 20th floor. The hosts / hostesses did a pretty good job taking orders, bussing the tables and getting coffee and drinks for me. However, the food is another story. The food provided at both the evening drinks and snacks service as well as the morning breakfast service need improvement. Priority should be given to the quality of the food provided. Quantity was fine, but the quality was very poor. BREAKFAST The coffee was good. The muesli looked and tasted as if it was made the day before and stored in the refridgerator over night. The fruit was clearly not fresh. The bacon is way undercooked and tough. Please make proper boiled eggs. The boiled tea eggs looked horrible. Shells were cracked and tea ingressed into the eggs. This is not the proper way to prepare tea eggs in China. The soybean milk was watery and sugar was added. It should always be served sugar free. Allow the guests to add sugar to their own taste. EVENING DRINKS & SNACKS The wine selection was insufficient. Please don't be cheap. Get some good Spanish, Italian, & French red wines. The selection of wine on the plane (EVA Airways) from Taipei to Shanghai is better than what you offer in the executive lounge. You can do better. I like the bread and cheese. Please offer more selection of European cheese, i.e. French Comte. The bread on the finger sandwiches was dry as a bone. Not good. Offer smoked salmon and capers. Please offer more items suitable for vegetarians. LOBBY BAR It is clear that management spent a lot of money renovating the bar on the 1st floor. However, it's a shame that all that money appears to have been wasted. The food and drink prices are pretty high. I don't know how you justify it when the service is that bad. I ordered Pizza one evening, and it was a pretty poor attempt at pizza. Pizza should be thin and crispy. The cheese and the sauce should be excellent quality. This was not. I look forward to visiting again and hope that my comments above help to motivate continuous improvement projects at the Swissotel Kunshan. Warm welcome and friendly employees! Clean rooms and a good lounge. The lounge could maybe updated into a more warm feeling. It is a great hotel. The friendly staffs help to make the trip easier. Thanks for all your hospitality, Jerry, Felicia, Sharon, Daisy, Mary, May. Thank you again. The staffs were super nice and the rooms were pretty clean! I enjoyed my stay. Special thanks to Jerry and his team of the Executive Lounge. They did everything to make my stay comfortable and enjoyable. I was happy to be a guest in this hotel. My room was nice and comfortable. The food in the hotel was good and fresh. The service provided to me was excellent. 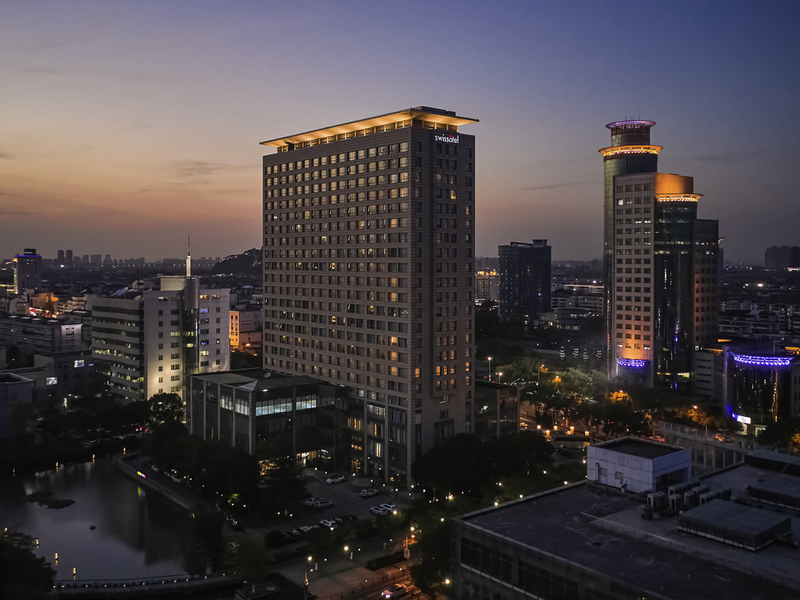 Looking forward to my next stay at Swissotel Kunshan. Comfortable and be respected! Excellent of 20F louenge. The reception was very welcoming, the bellboy helpful and observant, room clean and comfortable.